This game is nothing, but an ultimate challenge where you fight other Ben 10 characters on the ring. Choose your character and use specials to win! 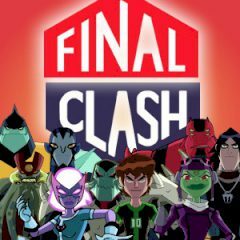 Play the game and enter the world of constant fights, where two characters from the Ben 10 universe meet each other in the ultimate battle. Choose your character and learn about his special abilities and traits. You need to defeat the enemy before he will make his final hit!